No matter how big or small your garden is, you can turn it into a magazine-worthy landscape by using the gardening ideas listed here. 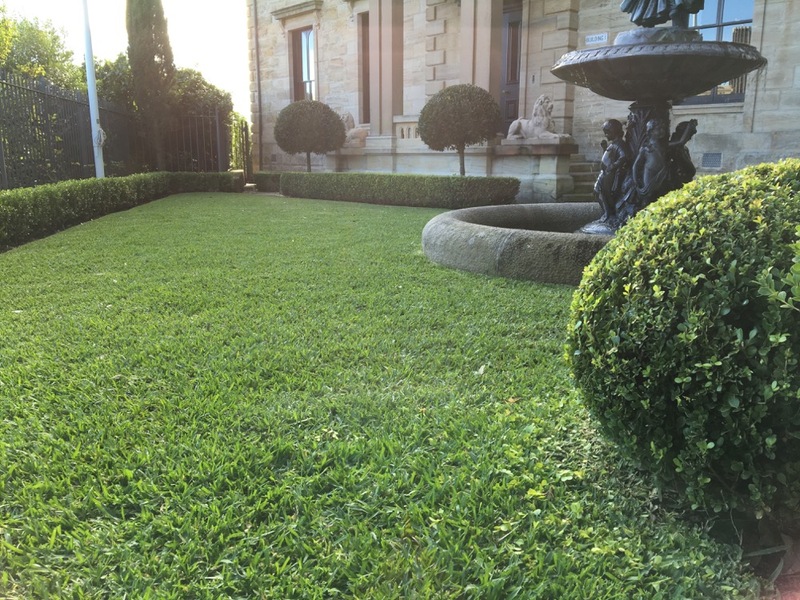 You don’t have to spend a fortune to achieve a garden that looks professionally designed and maintained. [/caption] A well-designed garden can add a lot of aesthetic appeal to your house. While you can use paintings, photographs and colourful furniture as design elements inside your home, when it comes to the outdoors, flower beds and lush green grass are what add interest and colour to the space. Before you start installing flower beds and putting in outdoor furniture, take a moment to define the space. What do you want from the garden? Do you want it to be a place where your kids and/or pet can play? Do you want it to be a peaceful corner with comfortable furniture? A place where you can wind down with a glass of wine after a hard day at work? Or do you want to grow vegetables in the garden? Depending on what you want from the garden, you can design the space. When you have a clear vision, landscaping becomes easier. It’s all well and good to have beautiful hedges and nice big trees that provide shade, but if you don’t maintain them, your garden can end up looking shabby. Overgrown plants and trees, dead grass and an invasion of weeds are all signs of an unkempt, neglected garden. Maintaining a beautiful landscape takes time and effort. 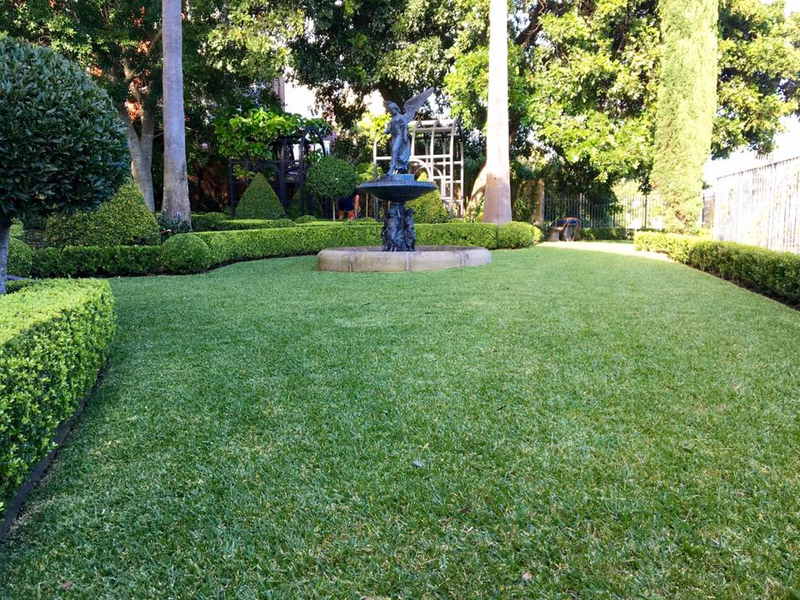 Before you get excited and fill up your garden with hedges and exotic plants, think about whether or not you’ll be able to dedicate time for garden maintenance. Even if you can’t do it, there’s always the option of hiring professionals to take care of your garden. The last thing you need is for your garden to look like something out of a horror movie. So, having a plan for regular garden maintenance is crucial. A water feature is a very visually appealing element. It could be something as simple as a bird bath. Or something a little more elaborate, like a water fountain or a small pond. By just adding a water feature, you can turn your garden into a more professionally designed outdoor space. Having a water feature in your garden will make the space feel like a retreat. A Place where you can go to relax and let go of stress. Your garden should have that one focal point that provides the ‘’wow’’ factor for the space. Some ideas for good focal points include colourful flower beds, a beautiful pebble or mosaic walkway, or a garden tent. Having that one big ticket item allows you to keep the rest of the space relatively simple while still giving off a high-maintenance garden vibe. Doing something as simple as hiding the garden hose out of sight can make a big difference. Have you ever seen a magazine photo of a garden, with a twisted and tangled garden hose lying on the grass? See what we mean? By putting away things such as the garden hose and other gardening tools, you will be ensuring that guests don’t get distracted by those objects. Take away the eye-sores and what you’re left with is just a beautiful garden. One great idea for storage space is to have a custom-made bench, with secret storage space where you can put away all your tools and stuff after usage. Some plants can be expensive and difficult to maintain. So, before you go and splurge on some exotic plants, take some time to research about them. Find out if the plant that you’re interested in will thrive in the weather conditions and soil where you live. Plants can be quite fussy when it comes to the amount of water and sunlight they need. Some plants need ample amounts of water while some others will rot if you overwater them. 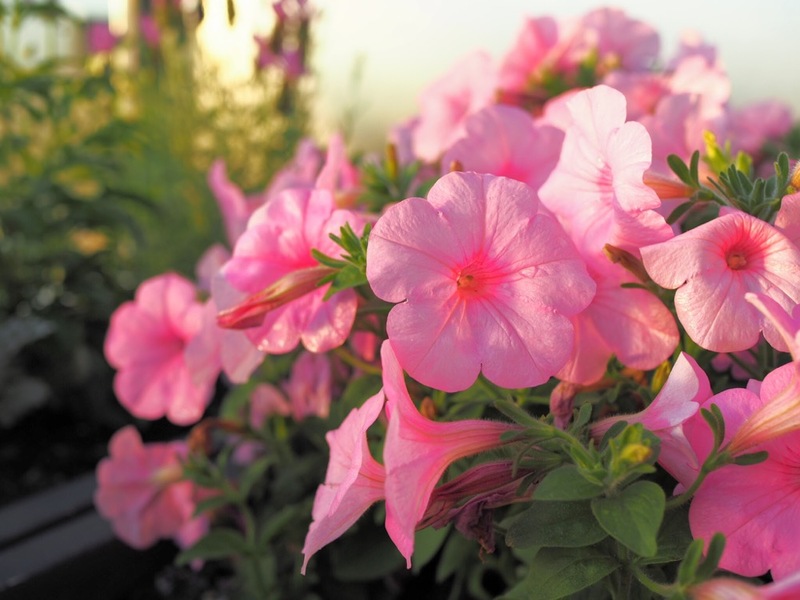 Knowing what you’re getting into in advance will help you pick and choose plants that are relatively easy to maintain. Spending a lot of money on an exotic plant, only to have it die can be quite frustrating. So, save yourself the trouble by properly researching the plants. By installing lights at strategic points, you can ensure that your garden looks inviting not only during the day but at night as well. Hedges and trees can look scary after dark as visibility is limited and gardens tend to give off an eerie vibe. Make your garden looks cosy, inviting and safe by installing lights. You can have lights installed along the walkway, under hedges and trees and even have some lanterns and string lights to light up the space. A great way to add interest is to experiment with textures. From a retaining wall made of rocks to a wooden bench and glass table, you can use different textures to give your landscape a contemporary feel. You can add elements of glass, wood and metal to give the space more dimension. Another great option to add some texture and colour to the landscape is to opt for artisan pots for your plants. From cement to ceramic and clay, there are a lot of different options to choose from. Combining pots of varying shapes, sizes and textures will make for a very eclectic collection. You don’t need a huge budget to turn your garden landscape into a beautiful oasis. All you need is some knowledge of gardening, perseverance, and the ability to envision how you want to transform the space. With these easy and useful tips listed here, you can start your garden makeover and transform your garden into a magazine-worthy picturesque landscape. And let’s face it, who wouldn’t want a garden that makes the neighbours jealous?